Convenient spray applicator helps to apply sprays easily. Allows application in proper way. 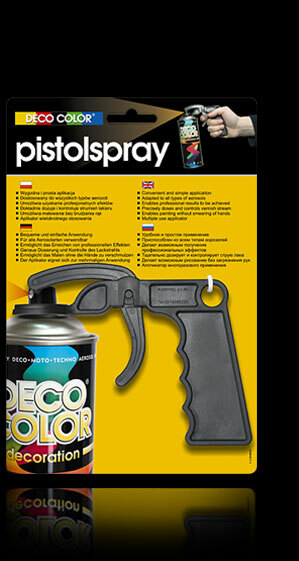 Remove the aerosol cap, put pistolspray on a head of can and start application by pressing the trigger. Notice. Product dedicated to decoratory works, as well as roofing works, and surveying.